Are you the trendsetter or the sheep? A game’s Meta is something that is constantly changing and evolving alongside a game’s community. Yet for as important as a game’s Meta is, understanding how it gets determined is a complicated process. I play a lot of League of Legends—like a lot. For some reason the tremendously popular MOBA just has its hooks in me like few games have done before. I have been playing the game for almost three years now, and in the entirety of that time, I’ve rarely been frustrated or bored with it. Now a lot of this has to do with the fact that the game is solely multiplayer and lends itself to unique and emergent gameplay experiences. However, the gameplay within League of Legends is facilitated by a game mechanic that largely goes unnoticed to the casual observer: the game’s Meta. You could think of a game’s Meta as its most popular posts on social media; it is essentially the most popular way a game is being played at any given moment in its community. For example, League of Legends has over 100 distinct champions to choose from, and every team is composed of 10 different ones. That means there’s a lot of variability and, theoretically, a lot of games with completely different compositions. Yet for the most part, there isn’t (especially in ranked play). With every ensuing patch to League of Legends, the game gets changed to introduce new characters, strengthen/weaken old ones or to add new items and abilities. As a result of this, at the end of every patch there are generally some champions that rise to the top and are seen by the community as the most OP. If it seems weird to you that patches meant to create balance within a game in turn create a hierarchy, don’t worry, it’s incredibly weird. The only defense I can offer on behalf of Riot Games is this: Balancing is hard. A game’s Meta can change or vary to include which guns to use such as in Call of Duty, which build paths to follow as in Starcraft II or which champions to play such as in League of Legends. Perhaps then a solid working definition moving forward would be that a game’s Meta is an expression of popular strategic and gameplay choices within a game. While a patch to a game’s code can certainly alter these choices greatly, it isn’t the only sole contributor to a game’s Meta. For that, we have to look higher up in the skill gap to competitive and professional play. Games that have a competitive element to them live and die based on the strength of their professional community and viewership. With a game like League of Legends, this competitive scene is nurtured weekly with professional matches being broadcast on Twitch through the LCS (League Championship Series). Last year’s League of Legends world championship featured teams from all over the globe and boasted more viewers than the Superbowl. It is immensely popular. Just like in traditional sports, Competitive Play vs. Casual is largely similar. The rules of the game are the same, with the only difference being the skill of the players involved. When people see their favorite League of Legends team trying out a champion to great success, it is only natural then that they would want to go home and try out that particular strategy for themselves. What this means is that the Meta for League of Legends is set not only by the patches themselves but by the ways that the professional players interpret these changes and balances. Try to follow this train of thought: A new patch goes live for League of Legends on Wednesday that reworks the skillset of a particular champion. You might think it’s cool but the champion isn’t really your style, so the changes don’t necessarily affect you that much. The following Friday you see Cloud 9 defeat the dynastic TSM by pulling out that new champion that got tweaked and adding it to their composition. This inspires you to go home and try that champion for yourself. 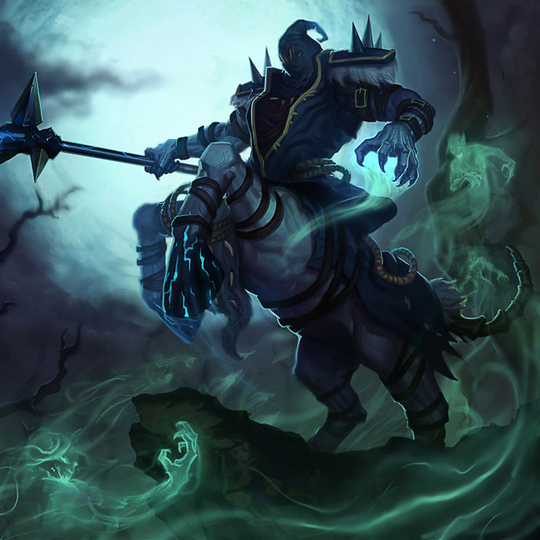 As more and more people see this champion being played to success in their casual games, they too decide to try him or her out until eventually a massive portion of the League population agrees to say that a champion is very good… that is until the next patch. In a very simplified way, this is some of how a Meta is determined. Here’s the thing, though, as more and more people jump on the Meta hype train, new counter picks or strategies are made in order to counteract them and thus the power balance changes once again. Furthermore, since only a minuscule portion of the League player base is actually playing at a professional level, even if a Meta shift may start with professional play, it doesn’t become solidified until it is embraced by the players that make up a majority of the community, i.e. casual players. In reality, what we have is something of a cycle. New changes are introduced to the Meta only to be transmitted all the way through a gaming community and eventually reworked on the other side. Along the way these notions of a Metagame are constantly shifting and being changed, not only by the ways I mentioned but by smaller influences as well. Maybe a particular champion just received a new skin available for purchase and as a result is seeing more play than they previously were. Maybe changes to a particular item make it more viable for use, and as a result champions that have good synergy with that item come back into play. All of these things are constantly feeding into a game’s Meta, which is precisely why it is so difficult to understand. You might be asking yourself, “What this has to do with me? Why should I care about a game’s Meta at all?” Well, in reality a game’s Meta is pretty much the form of the game that you see as a casual observer. As a first time viewer of the LCS on Twitch, you could watch a full 10 hours of a broadcast and see maybe 25 unique champions picked across all the teams. If you’ve played League before, this would initially seem very strange given that there are so many champions to choose from. However, if you understand League of Legends’ Metagame, the picks and bans of particular champions and the advent of certain play styles will begin to make much more sense to you. This is increasingly important given that changes within the Meta vary depending on the region that you play or live in. Popular mid-lane champions in the Americas might see little or no competitive play in Korea or China based simply on the fact that the champion doesn’t conform to said regions’ Meta. Basically, you should care about the Meta of a game if you are passionate about it. 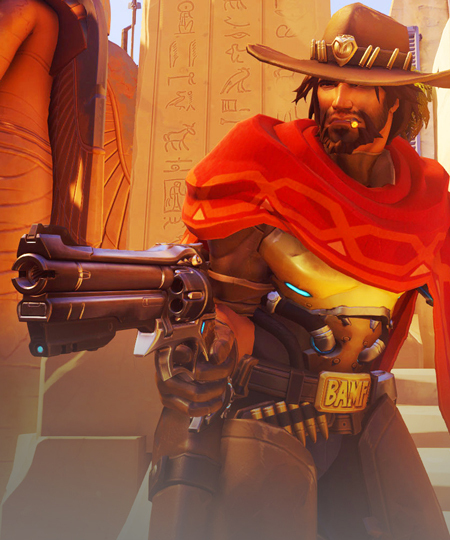 Without understanding it, you won’t be able to fully grasp the state of the game, its competitive scene or why all the casual players are suddenly playing Hecarim again (or for the Overwatch fans, why McCree saw a steep decline in play while D.Va saw a rise.) A game’s Meta is the silent but oh so important contributor to the perception and reception of any game on a casual or competitive level. So next time you’re locking in your pick of champions, think about if you’re following or setting the Meta—the answer might surprise you. What competitive gaming scene do you find to be the most interesting? Are you a Meta slave or a trailblazer? Tweet me @Flagcap or @YouNerded.